A Charleston County case* involving allegations of residential construction defects has been summarily dismissed by the presiding judge. While not appellate authority at this stage, the decision has made a major impression on the legal community because in this case, the trial court judge was Former South Carolina Supreme Court Justice Jean Toal. 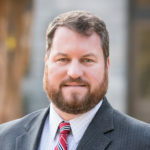 In the order from the Ninth Judicial Circuit, Justice Toal enumerated the rights guaranteed to contractors and subcontractors under the South Carolina Notice and Opportunity to Cure Construction Dwelling Defects Act (Right to Cure). Namely, the “right to notice of, and an opportunity to inspect and cure.” Toal found that these were substantial statutory rights afforded to contractors and subcontractors alike, and in the circumstances facing the court, where a claimant’s ability to comply with the statute was effectively impossible due to the claimant’s actions, the only proper recourse was to dismiss the case entirely. Justice Toal dismissed the entire lawsuit because plaintiff’s actions made it impossible for them to comply with the requirements of the Right to Cure Act and deprived the original builders of their rights under the same. Because the Act mandated that a case be stayed until a plaintiff complied with the requirements of the Act, and Plaintiff’s own actions made it impossible to achieve compliance, the end result was a permanent stay, which results in dismissal. The Right to Cure Act is a business-friendly law, directed at requiring a good-faith attempt to resolve conflicts before resorting to litigation. It allows businesses in the construction industry the opportunity to work with customers before claims against each other clog up the courts with lawsuits. A party seeking to assert claims for construction defects after depriving a contractor of their statutory rights to investigate and attempt to repair does so at their own peril. The plain language of the Act is clear. Key portions are here for your convenience. SECTION 40-59-840. Notice of claim; timing; contents; request for clarification. (3) a description of any results of the defect, if known. The contractor or subcontractor shall advise the claimant within fifteen days of receipt of the claim if the construction defect is not sufficiently stated and shall request clarification. SECTION 40-59-850. Contractor’s election to inspect, remedy, settle, or deny claim; inspection of construction defect; response to contractor’s offer; admissibility. (A) The contractor or subcontractor has thirty days from service of the notice to inspect, offer to remedy, offer to settle with the claimant, or deny the claim regarding the defects. The claimant shall receive written notice of the contractor’s or subcontractor’s, as applicable, election under this section. The claimant shall allow inspection of the construction defect at an agreeable time to both parties, if requested under this section. The claimant shall give the contractor and any subcontractors reasonable access to the dwelling for inspection and if repairs have been agreed to by the parties, reasonable access to affect repairs. Failure to respond within thirty days is deemed a denial of the claim. (B) The claimant shall serve a response to the contractor’s offer, if any, within ten days of receipt of the offer. (C) If the parties cannot settle the dispute pursuant to this article, the claimant may proceed with a civil action or other remedy provided by contract or by law. (D) Any offers of settlement, repair, or remedy pursuant to this section, are not admissible in an action. *McIntire v. Seaquest Development, South Coast Exteriors, et al.